The Buzz: It Comes At Night is the follow-up feature by Trey Edward Shults, who preceding film, Krisha, made a number of "best of" lists last year. This new effort is his first feature-length film utilizing actors that he's not related to, along with one headlining star in Joel Edgerton. This is also Shults' first foray into horror, delving into the psychological terrors of a mysterious post-apocalyptic scenario combined with a eerie forest setting surrounding a desolate home. Within a family is facing a threat to their tenuous domestic arrangement due to a mysterious force, and the arrival of another family. While at first, both families are able to coexist happily and in an friendly fashion, eventually mistrust and tensions boil over, all the while, something else waits just past their front door. What's Great About the Movie: To quote a friend, this is probably the closest we'll ever get to a filmed version of The Last of Us, with its focus on family, paranoia, and keeping its mysterious cataclysmic event fairly close to the chest. It also is a very tense film, basically never letting up, even when it hits its quietest moments. Its jump scares are rare, but are effective for how sparingly they are used and it utterly bleeds atmosphere. Thankfully, it also never overstays its welcome, wrapping up in a solid 91 minutes and it makes the most of that time. What's Not-So-Great About the Movie: It might be a little slow for those expecting a traditional horror film, or the gory, puddle-deep moralizations of something like The Walking Dead. Additionally, the film ends in a way that some viewers may find unsatisfying. This isn't a tidy conclusion to say the least. 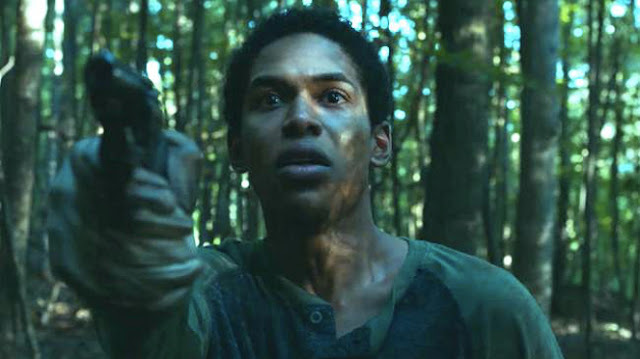 Final Verdict: It Comes At Night is absolutely worth seeing, and given the relative cinematic wasteland we've been facing through April and May, a few superhero bright spots like Wonder Woman aside, these kinds of efforts should be seen in a darkened theater where it will grab you by the throat.